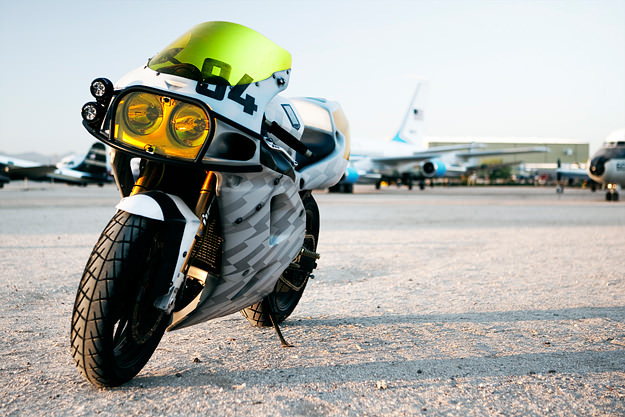 Every industry has an outlier, and in the world of motorcycle apparel it’s Icon. The company is unconventional and unpredictable, and I’m sure that part of its success is down to the unusual customs built by creative director Kurt Walter and his crew. The Slabtown, Northwest Portland garage has recently produced a Ducati streetfighter, a Triumph Speed Triple drift bike and a post-apocalyptic Harley Sportster. And now we have Thunder Chunky, a 1994 Kawasaki Ninja ZX7. 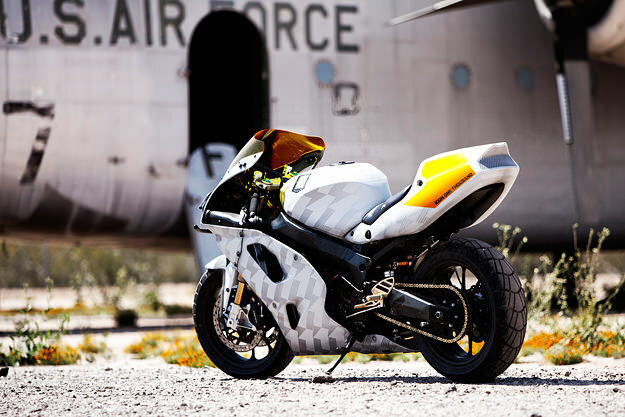 With a 748 cc inline four pushing out 120 hp, Thunder Chunky is packing serious horsepower for a mid-90s bike—and can accelerate beyond 160 mph. To drag the ZX7 into the 21st century, Icon junked the stock 43 mm cartridge forks and fitted Ohlins kit front and rear. 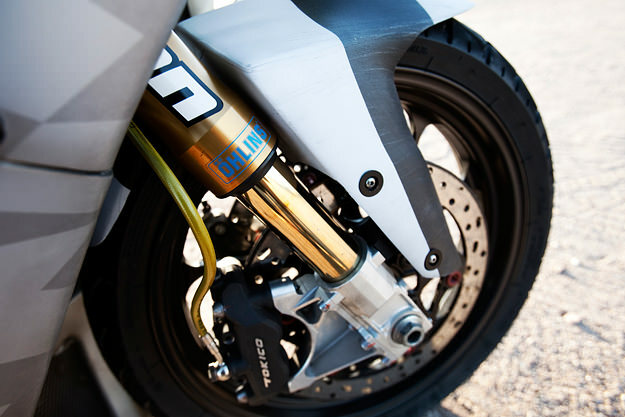 The triple clamp is from Attack Racing and the Tokico brakes have been supplemented with Galfer components. Leo Vince provided the pipes, and the bug-eyed lighting is courtesy of PIAA. No Firestones here: The rubber is Dunlop D616, with an aggressive tread pattern similar to road-racing rain tires. They’re wrapped around black anodized, forged ‘Assault’ wheels from Performance Machine. 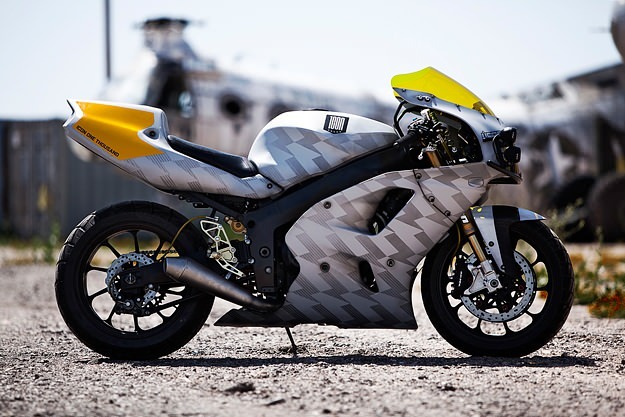 The ZX7’s bodywork is all-new, supplied by Airtech Streamlining and camouflaged in a stealthy gray-and-white pattern. 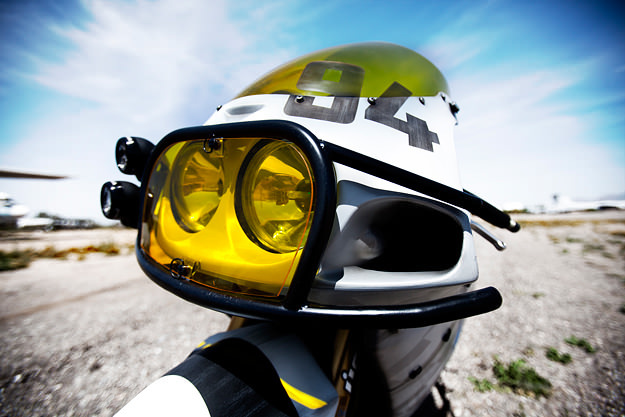 The yellow-green multi-hued acrylic shield at the front is a neat touch, offset by yellow headlamp lenses and yellow paint on the tail unit. Headlamp guards complete the look. 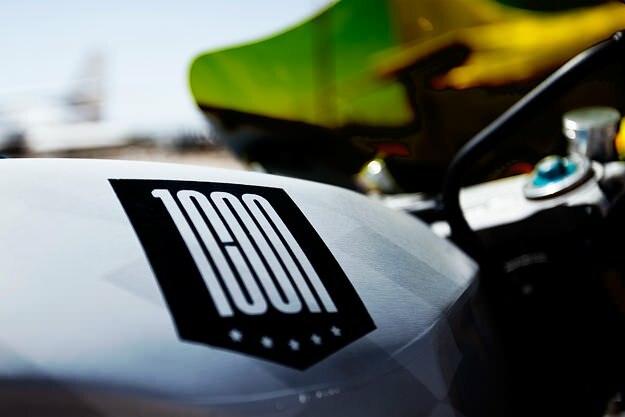 Thunder Chunky was created for the launch of the latest Icon 1000 collection, a new range of jackets, boots, gloves and more. Check it out here and keep in touch with all things Icon via their Limiter blog and Facebook page.